Tim still lets Brad off the hook and go to the planned truck rally after he pulls a prank at school, until he throws rocks at a greenhouse. Jill and Karen thinks that Tim will look at a woman in a restaurant, after he checks out a woman on Tool Time. Randy has trouble playing football. Tim pulls a groin muscle when trying to impress Jill by carrying a big trunk of books. Randy plays Peter Pan in the school play, but the school doesn't have the necessary machine for him to fly. When Tim throws a party to celebrate putting in the hot rod's engine, Jill decides to hook her friend Karen up with one of the guys coming to the party and ends up ruining Tim's day with a barbeque. Meanwhile, the boys have problems with the McGurn brothers. Brad and Jennifer plan to dress like Raggedy Anne and Raggedy Andy on Halloween, but she shows up dressed like Danny. After Danny bothers Jennifer and Jill, Tim scares him. Tim stays at Al's when Mark has the Chicken Pox, because Tim has never had it. 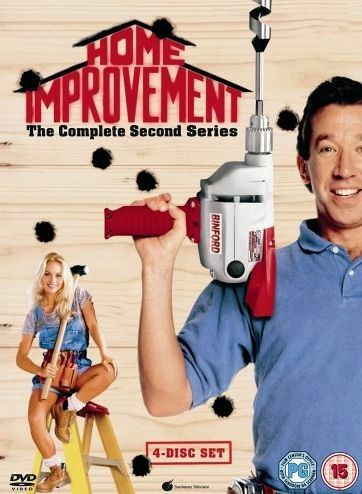 Maureen Binford, the new producer of Tool Time, tries to change everything and Tim doesn't know how to stand up to her when Al, Jill, and Wilson are all busy. Jill finds Tim's unfinished wills and he must decide whether to fill them out or not. Mark fears that his father is going to die. Dave has Tim tell Karen that they had lunch that day, even though they didn't. The boys have trouble with the McGurn brothers. Tim has trouble running the house while Jill is busy. Maureen Binford wants to change the show again with a section called ""Bachelor's Corner"" featuring Al. Tim complains about Jill having so many clothes in the closet, so he re-organizes it. Brad is embarassed when Tim hugs him at school. Jennifer's fish dies when Brad watches it. Tim and Jill have a fight over who owns what. Tim gets Jill ballroom dancing lessons for her anniversary present. Tim refuses to ask for directions on the way to Shelia's wedding. A woodpecker is a pecking pain in the neck for Tim. Brad blames a poor grade on Jennifer who refuses to let him copy her paperwork anymore. Hoping to boost Mark's confidence, Tim and Jill put him into a karate class. However, a boy starts bullying Mark, leading to a fight between Jill and the boy's mother! Tim gets two front row seats to the Pistons game from Wilson, but Jill says he must take Mark to the ballet. Brad and Randy try a cigar while Tim is gone. Jill's mother, Nana, comes to visit and Tim notices that Jill and Nana don't talk about their problems with eachother. Al invites Stacey Lewis, Tim's ex-girlfriend, over to the Taylors' house for dinner. Tim helps the boys with Mothers' Day projects for Jill and Randy does an unsuccessful job on a birdhouse. While Tim is busy trying to get his hot rod to work, Jill calls a repairman to fix various things around the house. Tim puts a piece from a Chinese helicopter in his lawnmower for a race against Bob Vila. Brad and Randy get Mark to eat a tadpole so that he can play with them.